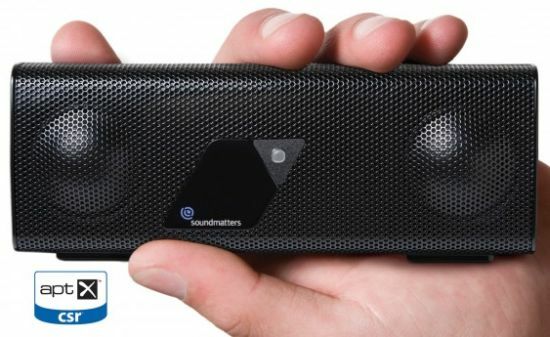 Looking to enjoy CD-quality audio and better syncing with video feeds, like gaming or TV, Soundmatters has announced an entry level portable speaker dubbed the “foxLv2 aptX” that connects your gadgets wirelessly via Bluetooth. Featuring BassBattery, DomeForward and Twoofers, the Bluetooth speaker comes built-in with a noise-cancelling microphone to allow quality sound. In addition, you can charge and play the device simultaneously with ease. Measuring 2.2 x 1.4 x 5.6 inches (HBW) in dimensions, the portable speaker runs on rechargeable batteries to offer 12 hours of playback time on a single charge. You can charge the speaker with both an AC adapter and a USB cable according to your convenience. Available for $199 at various retailers, such as Amazon and Best Buy, the foxLv2 aptX is also available in a wired version for $149 only.